We provide our customers an excellent quality range of Non-Refrigerated Bacteriological Incubator with Audiovisual Alarm. Foamed - in place PUF insulation ensures temperature stability and reduced energy consumption. 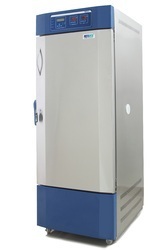 Looking for Non-Refrigerated Bacteriological Incubator ?